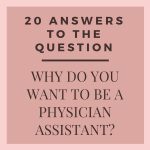 You are here: Home / Pre-Physician Assistant / The PA History Quiz: I Scored a 3 Out of 25, How About You? 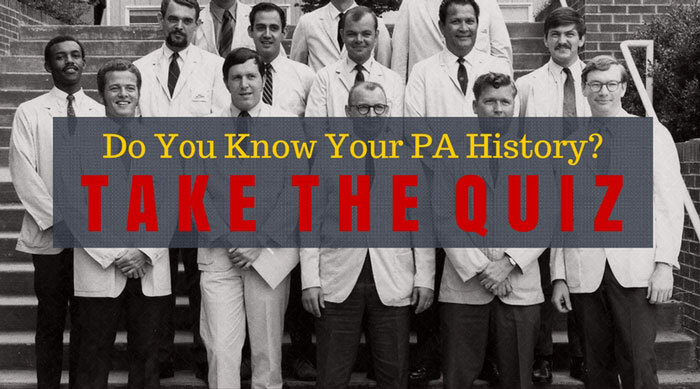 The PA History Quiz: I Scored a 3 Out of 25, How About You? You will have to take the quiz below to find out! "Whoever wishes to foresee the future must consult the past." 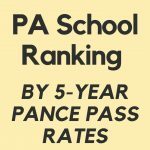 I wish the title of this blog post were an attention grabbing exaggeration, but sadly it is true, I scored a 3 out of 25 on my PA history quiz. Statistically speaking I would have done better had I let my cat pick the answers. 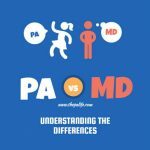 The truth is, even after 13 years in the PA profession and over three years writing content for this blog, I know very little about the history of my profession. Which nationally syndicated cartoon comic strip featured a physician assistant as a leading character? 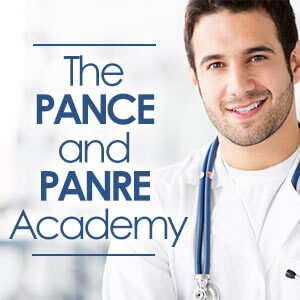 What year was the first national certifying examination for PAs administered? Which First Lady attended and spoke at an AAPA Annual Conference while her husband was still in office? 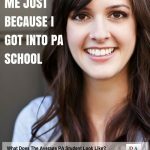 Want another reason to know your PA history? 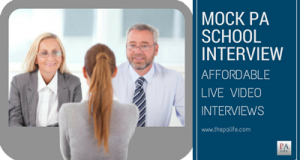 When you are preparing for your PA school interview, you must make it a point to have a solid understanding of our profession. 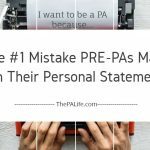 It will help you answer questions about why you want to be a PA. You will be able to explain what this means, not just from a personal perspective but a historical one. How do we as PAs address the many professional challenges ahead? We look to the past and learn from it. Know your history, and you will be hard wired to impress! 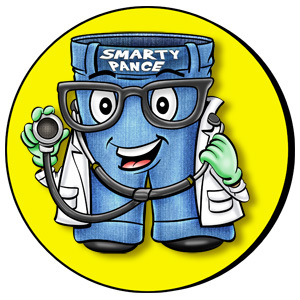 Below is a compilation of five quizzes offered by the Physician Assistant History Society. I have gathered these 25 questions into an interactive quiz that you can take below. A serious thank you for the amazing work of the PA History Society for celebrating our profession and creating the quiz content. I encourage you to take time and follow the links embedded in the exam, go down the "rabbit hole," read about and understand every element of our history. 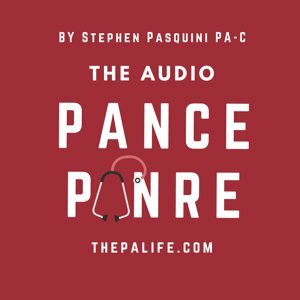 It will give you confidence, not only during your PA school interview but as you make a life and career for yourself as a physician assistant. Now go ahead and see if you can beat my score. 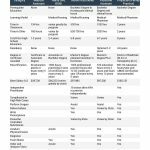 Which state was last to pass physician assistant enabling legislation? Mississippi HB 846 was signed into law by Gov. Ronnie Musgrove on April 24, 2000 after a 26 year struggle to gain legislation to license and authorize the practice of physician assistants. 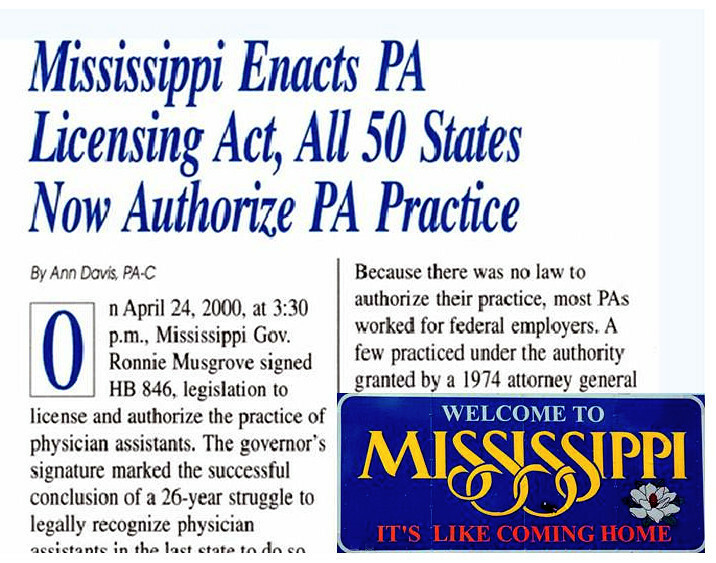 By doing so, all 50 states now authorize PA practice. 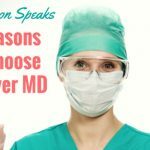 Who was the physician who first introduced members of the AMA to the concept of “mid-level practitioners” and who published an article titled “Expansion of medical professional services with nonprofessional personnel” in a 1961 issue of JAMA? Dr. Eugene A. Stead, Jr.
Charles L. Hudson, MD was one of the first physicians to suggest that non-physician clinical support personnel be trained and used to help alleviate a growing disparity between supply and demand for health care services. At an American Medical Association (AMA) meeting in 1961, he proposed that individuals with no previous medical education be trained to perform routine clinical tasks. 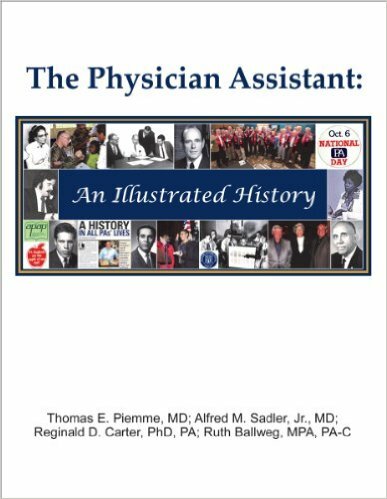 His address was published in JAMA in 1961.
Who served as the first elected president of the Physician Assistant History Society? The Physician Assistant History Society was incorporated in January 2002 and became fully operational in July 2002 under the leadership of Dr. J. Jeffrey Heinrich, the Society’s first elected president. What is the title of George Skypeck's painting that contains thousands of names of Vietnam veterans who signed the artwork as it traveled throughout the USA in the 1980s and has a special significance for physician assistants who are veterans? 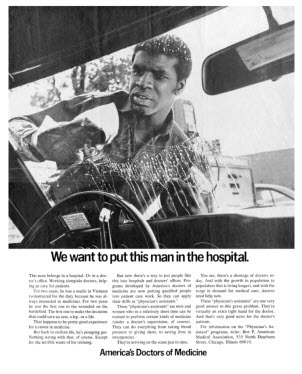 An advertisement promoting the training of former military corpsmen to be physician assistants was sponsored by the AMA (American Doctors of Medicine) and appeared in the July 30, 1971 Issue of Life Magazine. The advertisement shows a young African American male, a former military corpsman, doing what as a civilian? 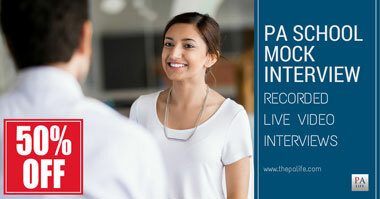 Where was the first postgraduate residency PA program established? 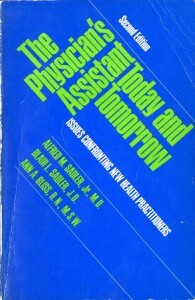 What was the title of the first book written about the PA profession and published in 1972 by Sadler, Sadler, and Bliss? What year and where was the first National Conference on New Health Practitioners held? Which of the following titles has NOT been used in the past by the PA professional organization known by the acronym AAPA? 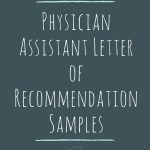 The current American Academy of Physician Assistants (AAPA) has had several name changes over the years. It was organized and incorporated in North Carolina in 1968 as the American Association of Physician's Assistants. In June 1971 the name was changed to the American Academy of Physician's Associates but because of controversy about the use of the term associate, customarily used by physicians to refer to another physician colleague in practice, was changed in February 1972 to the American Academy of Physician's Assistants. The 's was dropped in the mid-1970s because PAs believed that the possessive "s" misconstrued the interdependent relationship between them and their supervising physician. 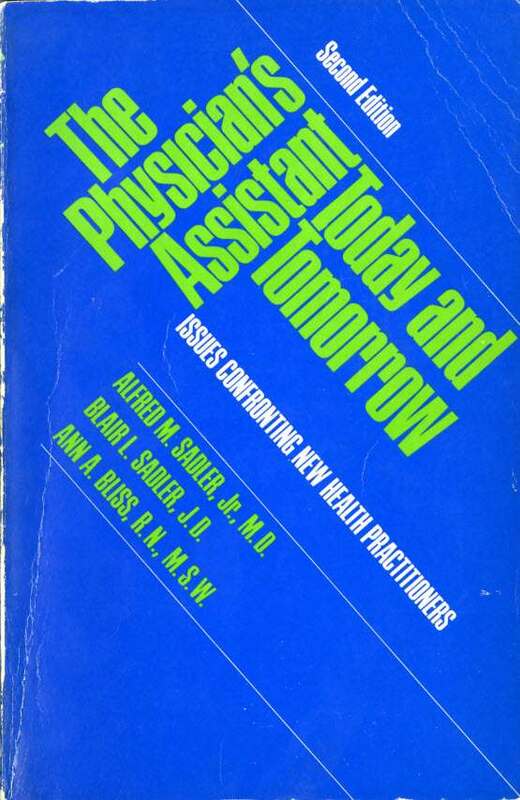 The American College of Physician's Assistants established in Cincinnati and the National Association of Physician's Assistants based in NY City, were two of three other competing organizations that emerged between 1968-1972 to represent PAs, some of whom were informally trained. 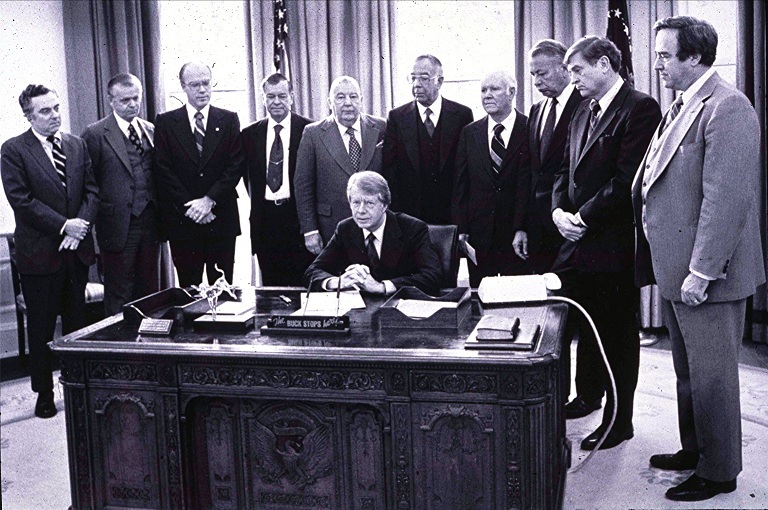 Rosalynn Carter attended the AAPA Annual Conference held in New Orleans, Louisiana in 1980. Ms. Carter spoke to the general assembly advocating for improved delivery of mental health services, especially for homeless, uninsured and medically disadvantaged citizens. She is still an advocate and continues to work on the cause through the Carter Center's Mental Health Program. 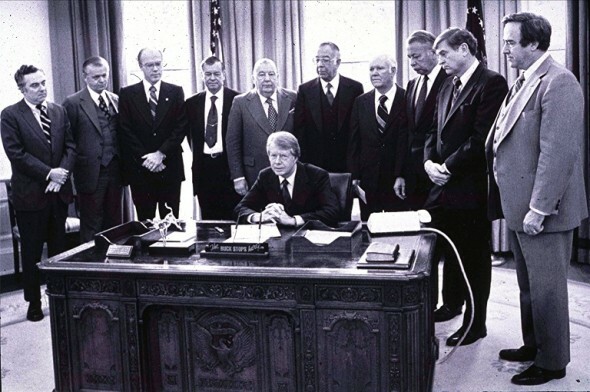 While President, Jimmy Carter signed on December 13, 1977 the Rural Health Clinic Service Act that provided Medicare reimbursement of PA services. 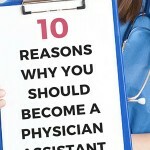 Who was the first woman to become president of the American Academy of Physician Assistants? 1991 Sherri Stuart became the second woman to head the Academy. Clara Vanderbilt was first woman to serve as vice president of the organization between 1975-76. 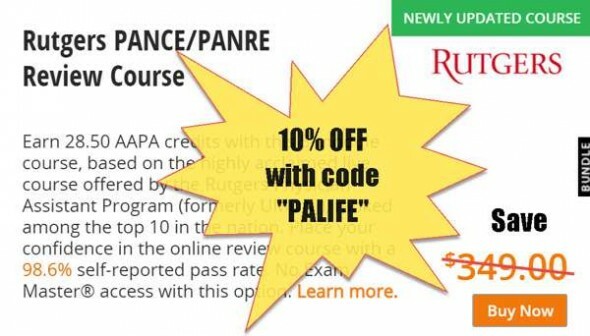 In what year did the National Commission on Certification of Physician Assistants (NCCPA) administer the PA National Certifying Examination (PANCE) to informally trained PAs and nurse practitioners (NPs) for the last time? 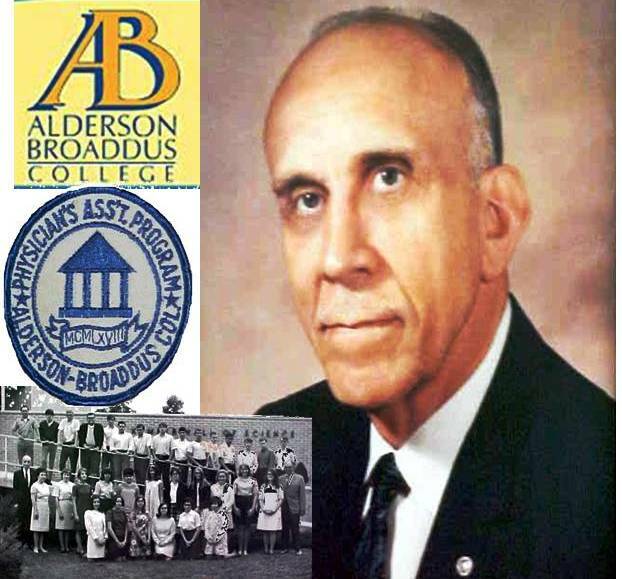 Which institution was the first to offer a bachelor's degree to graduates of its PA educational program? In 1974, the Child Health Associate Program based at the University of Colorado became the first program to offer graduates a master's degree. 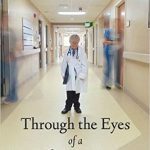 Dr. Hu C. Meyers founded and served eight years as the director of the nation's first degree program for physician assistants at Alderson-Broaddus College in Philippi, West Virginia. The first students were enrolled in September 1968 and graduated four years later in 1972. 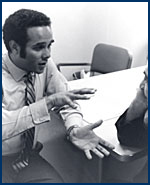 It was the first program to offer a liberal arts-based baccalaureate degree, the first to accept students just out of high school and the first to accept students without previous medical experience - a major departure from Dr. Eugene Stead's PA model at Duke University and Dr. Richard Smith's MEDEX model at the University of Washington. In 1974, the Child Health Associate Program based at the University of Colorado became the first program to offer graduates a master's degree. 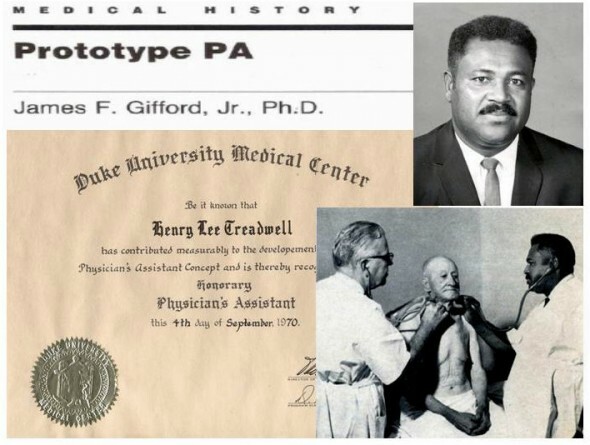 Who was the “doctor’s assistant” trained and employed by Dr. Amos Johnson in Garland, NC, who served as Dr. Eugene Stead, Jr.’s role model when he began formally educating PAs at Duke University? 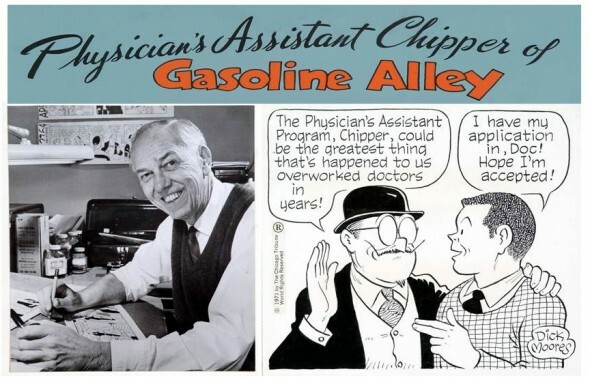 Prior to the development of the physician assistant program at Duke University in 1965, many physicians were training their own assistants on the job. Stead was aware particularly of one such proprietary trained assistant, Mr. Henry Lee 'Buddy' Treadwell, who was trained by and worked with Dr. Amos Johnson in general practice in Garland, North Carolina. 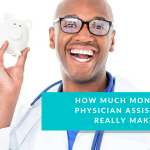 This relationship crystallized Stead's vision of how a physician's assistant could be used to help over-worked doctors deliver health care services. 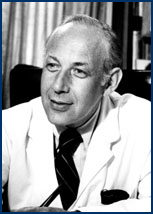 In 1967, Dr. John W. Kirklin initiated the first surgeon's assistant program at which institution? 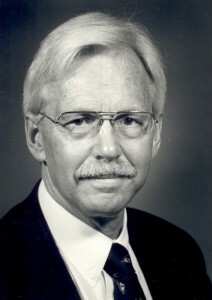 Dr. John Kirklin started the University of Alabama/Birmingham's Surgeon Assistant (SA) Training Program in 1967 and recruited his wife, Dr. Margaret Kirklin, to be the program's first Academic Director. There were initially four students – three of whom remained at UAB for the rest of their professional lives. What national legislation paved the way for the US Department of Health, Education and Welfare, Bureau of Health Manpower Education, to award contracts to fund the education of physician assistants for the first time? The Department of Health, Education and Welfare announced awarding $4 million in contracts in Fiscal 1972 to 25 institutions training Physician Assistants for primary care. This was the first time these type programs were awarded funds by the Office of Special Programs, under sections of the Comprehensive Health Manpower Training Act of 1971. 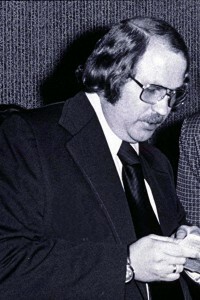 President M. Nixon signed the bill on December 23, 1971.
n 1968, Dr. Richard Smith created the first MEDEX program in the country at the University of Washington. What does the acronym MEDEX mean? 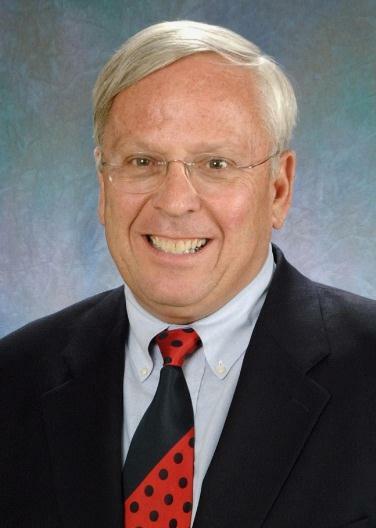 Dr. Richard A. Smith is assigned to Pacific Northwest by Surgeon General William Stewart to develop physician assistant training program. He develops the MEDEX (Med-icine Ex-tension) model with a strong emphasis on the deployment of students and graduates into medically underserved communities. 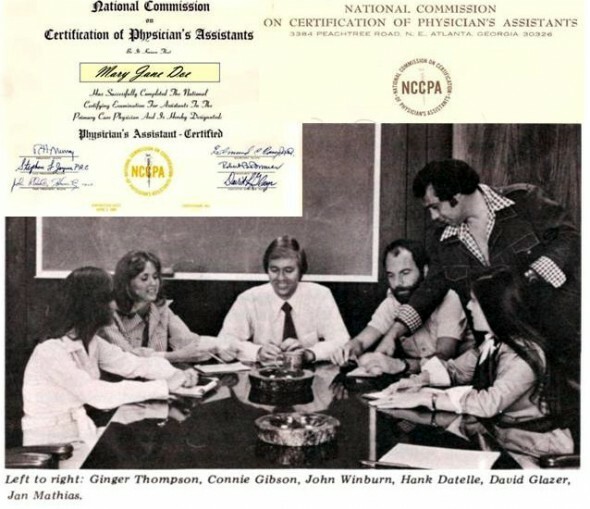 Formally organized as a not-for-profit organization in 1974, the National Commission on Certification of Physician Assistants (NCCPA) opened its first office in 1975 in which of the following cities? The trial People v Whittaker involved an ex-military trained operating room assistant who assisted a neurosurgeon with surgery. The assistant was charged with practicing medicine without a license. The trial received national coverage in 1966. In the trials aftermath, which state developed and passed the first legislation to allow physicians to hire and use formerly trained physician assistants in their practices? Who served as Secretary of the Accreditation Review Committee on Educational Programs for Physician Assistants (ARC-PA) from 1972 to 1991? Lawrence M Detmer served as Secretary of the Accreditation Review Committee on Educational Programs for Physician Assistants (ARC-PA) from 1972 to 1991 (when AAPA assumed responsibility for the administration of the ARC-PA). 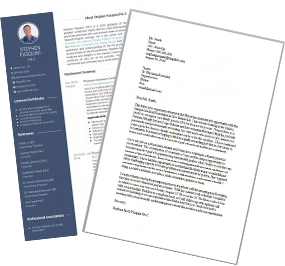 In this role he helped develop the initial policies and procedures used to accredit physician assistant programs based upon a set of Essentials. The Essentials were adopted by the American Medical Association's (AMA) House of Delegates in December 1971 upon recommendation of several medical specialty societies composed of a sufficient number of physicians providing primary patient care. Who is the first woman and first African American woman to become a physician assistant? 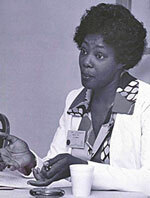 Joyce Nichols is the first woman to be formally educated as a physician assistant (PA). She also happens to be the first African-American woman to practice as a PA. Nichols was working as a licensed practical nurse (LPN) at Duke University when Dr. Eugene A. Stead, Jr. established his 2-yr PA educational program in 1965. She learned about the program from a former Navy corpsman who worked with her in the cardiac unit. The program was originally designed to build on the past experience and training of ex-military corpsmen. Thus, Nichols had to overcome a number of obstacles to gain entrance into the program. She was a woman; she did not have a corpsmen background; she was an African-American; and she had little money to pay for her education. However she was persistent and gradually won the faculty’s confidence and support. 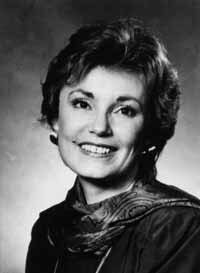 She entered and graduated from the Duke PA Program in 1970. So how did you fare? 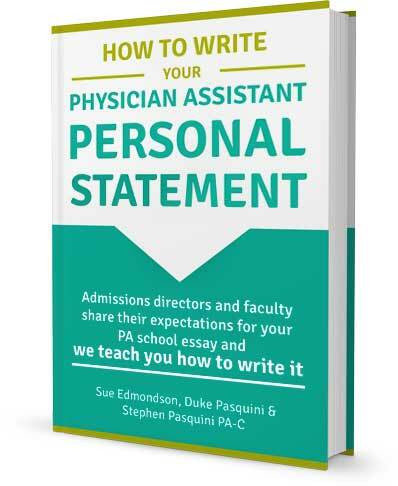 Post your score in the comments section below, and I will send the first three commenters a FREE copy of our new ebook "How to Write Your PA School Personal Statement"... A $15 value! I got a 60% which isn’t too good since I lived thru most of that history. Fun to take and read the answers – thanks for taking the time to do this. I got 13/25! But I gotta say, I guessed some of them! Thanks for the posting the quiz! 48%!! Got some more to study! Not bad at all!!! I think the founders would be proud ? I’m the 5th comment, 60 %. Hi Alex, 60% on the curve gives you an A++ ! Unfortunately, a couple other commenters beat you to the ebook, but I will do this again so stay tuned.. Thanks for taking the time to take the test and post your score!! I got 80% 🙂 still could be better! Hi Sarah, if the PA History society sees your score you just may get a job offer… Way to go! Unfortunately a couple other commenters beat you to the ebook, but I will do this again so stay tuned.. Thanks for taking the time to take the test and post your score!! Great job John! Thanks for taking the time to take the quiz and post your score. Since I grade on a curve 20% is still a B+ 🙂 Way to go! I just sent over a copy of your free ebook to your email address, take care and have a great day! I got a 62% ! I definitely need to brush up on my PA history..
Great job Sam! Thanks for taking the time to take the quiz and post your score. A 66% is going be hard to beat, I think you join the ranks of official PA historian 🙂 I just sent over a copy of your free ebook to your email address, take care and way to go! I scored a 44%…. Looks like I need to brush up on my PA history! Great job Maddie! Thanks for taking the time to take the quiz and post your score. I think a 44% is exceptional! I just sent over a copy of your free ebook to your email address, take care and have a great day. Sarah was beyond amazing, she was always on time with my essay edits, took the time needed to really listen to what I had to say. Sarah pretty much transformed my essay form caveman style to an easy, awesome flow good content easy and fun to read essay. I am very thankful for her collaboration, I could not have done anything that resembles her quality of work. Thanks a million!!!! Sue is so incredibly kind! 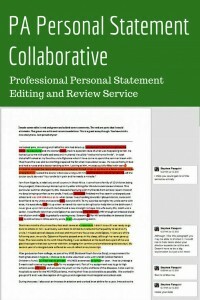 I needed so much help on cleaning up my personal statement and overall flow of the writing. She provided great insights and explanation. Duke and I worked really well together. Seeing my first draft in comparison to my final draft was like night and day. I really appreciate all the help! Carly did an absolutely amazing job editing my essays. From my personal statement to my supplementals, she was thorough and methodically made them into stronger essays. I am glad I was able to work with her. With her edits, I am more confident about the essays I am submitting. I would gladly recommend her to anyone! I must say, I originally thought I had a fairly strong statement. But after reading Sue’s comments/revision. The quality, structure, and overall flow of my statement was in fact leaps and bounds better than my original. Sue was very quick to edit my essay and give feedback. Any questions were answered very promptly. I am very pleased with the service provided. Thank you for all of your help with my essay. You used my content, but refined it and made it more relatable. 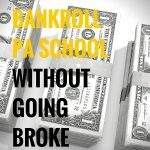 I believe due to your help I gained three interviews this cycle! I was accepted to two of the three schools and I will be going to the Medical University of South Carolina in Charleston this May. Again, thank you for all of your help, it has definitely changed my life. I finally have amazing news. So first of all, in total, I was offered 13 interviews. I was just offered a seat at Nova Orlando! 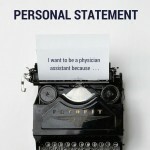 I am finally going to be a PA and a big part of that was from all of your help with my personal statement. So thank you very much for helping me succeed during this round. Duke went above and beyond to help me. I so appreciate his help and would recommend this service to anyone! This is Tyler. I hope you remember helping me with my essay back in May. As promised, I wanted to update you with news of my PA school journey and I am excited to tell you that I was accepted to Stony Brook’s PA program!! THANK YOU VERY MUCH for helping me write an essay that was truly reflective of who I am as a candidate and as a person! It played a pivotal role in this whole nerve-racking process and has helped me achieve a major life goal. You are a godsend to Pre-PA students.